More studio spaces close each year, and Dublin artists say something needs to change. “It’s a real crisis now,” says Jacinta Lynch, the founder of the recently closed Broadstone Studios. Artists, arts managers, curators, artist-studio organisations and arts agencies have come together to bring this and other city arts issues to the attention of the folks writing the Dublin City Development Plan. The deadline to submit ideas for the plan is Friday. Members of this arts coalition have been contacting councillors, doing research and going to consultations, in the hopes that they might influence Dublin’s policy for culture, art and heritage over the next five years. And in turn, hope that will mean more studio space for artists. Dublin City Council’s arts officer, Ray Yeates, estimates that the amount of studio space available in the city has fallen by 24 percent in recent years. The recent growth in the property market has resulted in the closures of some long-term, and often successful, art studios. This year saw the closure of Broadstone Studios, which hosted 34 professional, high-profile visual artists on Harcourt Terrace. Also, Bio Space shut its five-year-old incubation space in Dublin 7. And 2014 saw even more closures, including Moxie Studios in Dublin 2, the Mabos Project on Hanover Quay, Market Studios in Dublin 7 and the Joinery in Stoneybatter. “We were disappointed at the lack of response to our closure,” says Lynch, the Broadstone founder. After 18 successful years, their ten-year lease ended, and the landlord decided to sell the property. It’s now lying vacant, awaiting planning permission. Not all the artists who were there have found studios yet, and Lynch herself is still looking for an alternative. She’s working hard, along with about eight other artists, to put together a comprehensive submission for the Dublin City Development Plan. The group is constantly responding to edits and notes from the wider community. “We wanted to raise the issue,” she says. But she’d like to see, at the very least, an improvement in communication between arts organisation and the council. This is part of her submission for the Dublin City Development Plan. She’s flexible about the kind of support needed. 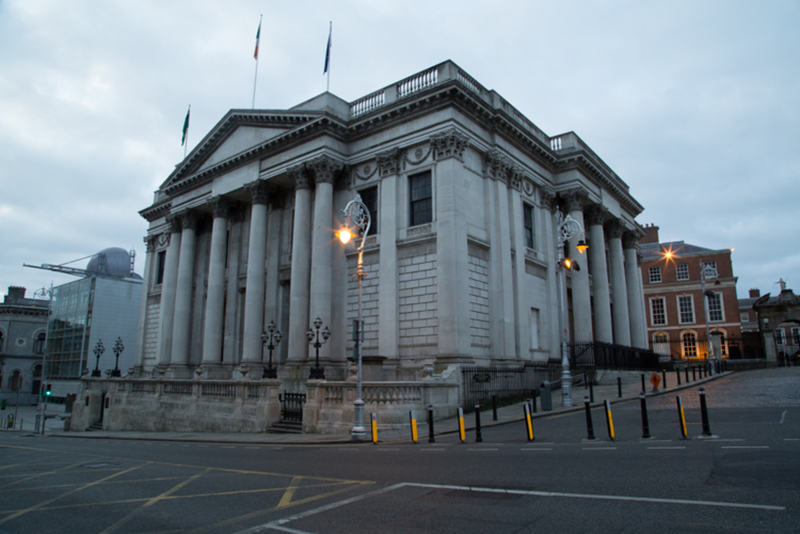 Dublin City Council does try to do its bit for providing studios. It runs some, and it also runs the Vacant Spaces Scheme, which matches artists and arts organisations with properties available for short-term leases. But it would appear that this isn’t nearly enough. Some 350 artists and organisations are currently on the Vacant Spaces Scheme’s waiting list. No commercial spaces became available last year, and only one council space did. 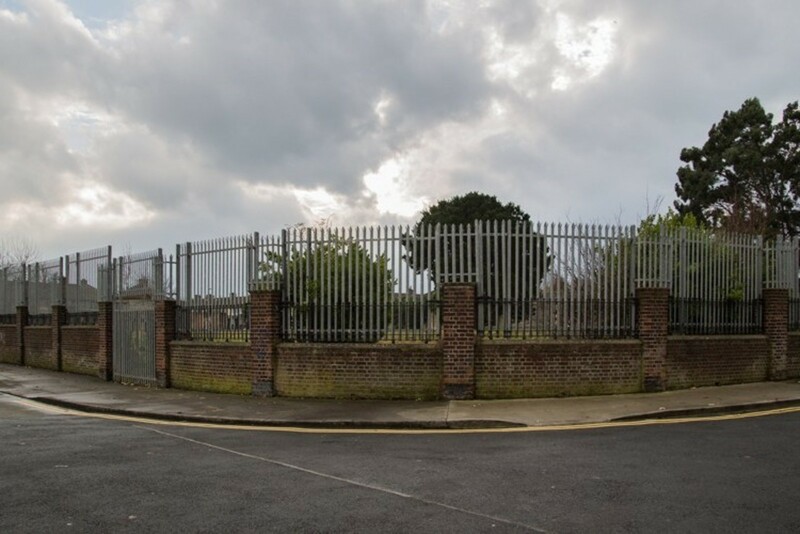 Dublin City Council’s Arts Office is reviewing the Vacant Space Scheme, and is also in discussions with OPW about providing more buildings to artists. Yeates admits that not much progress has been made. He says he’s in negotiations with OPW regarding property around Smithfield. “Acquiring property is the longest process,” he says. Yeates is also planning a pilot project with Visual Artists Ireland for long-term work spaces. And it is long-term spaces that artists seem to be in need of. The Vacant Space Initiative is good, but it’s a short-term fix, says Lynch. 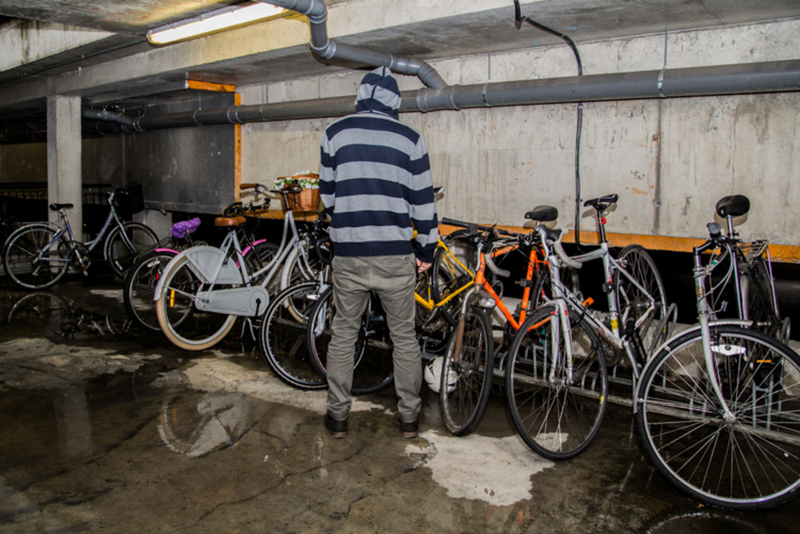 Once you invest in setting up a space, it can be very costly to move out six months later. “It’s a double-edged sword,” she says. Pallas Studios have plenty of experience in dealing with precarious renting situations, says director and curator Mark Cullen. Since setting up in 1996, the project has occupied 15 different places. Jumping from space to space for years, Cullen says Pallas finally secured a ten-year lease from a private landlord near the Coombe in 2012. For a while, it was even located in old council flats. Pallas Studios managed to survive uncertain times, because it always had more than one space. And though it is secure for another seven years, Cullen wants to see a move toward more permanent work spaces for all artists. As things are now, it can be very difficult to find a lease for more than three years. He recalls this happening in the late 1990s as well, and says it can be detrimental to an artist’s work, especially in the run-up to an exhibition. Lynch believes this situation will keep arising unless permanent studio spaces are created. The Vacant Space Scheme can instrumentalise artists for developers’ gain, while they wait for market values to increase, she says. The artists involved in making submissions to the development plan are rallying for a long term, stable solution to the shortage of studios. Lynch suggests some sort of trust or co-operative, or even a structure within Dublin City Council, which could provide loans on reasonable terms. She did her sums and estimates that over the past 18 years, Broadstone Studios paid well over €1 million to landlords. “We could have bought a building,” she says. Another way to get permanent studios would be to follow in the footsteps of cities like Glasgow and London, where a cultural aspect has to be included in building developments. She’d love to see Dublin copy the system used in Glasgow, where support comes from development, councils and the government. She thinks it’s ridiculous for large developments to go ahead without provisions for the arts. “It’s a crucial time at the moment, particularly with areas earmarked for development,” says Cullen. He believes a step like this in Dublin’s planning policy would be a complete game changer. 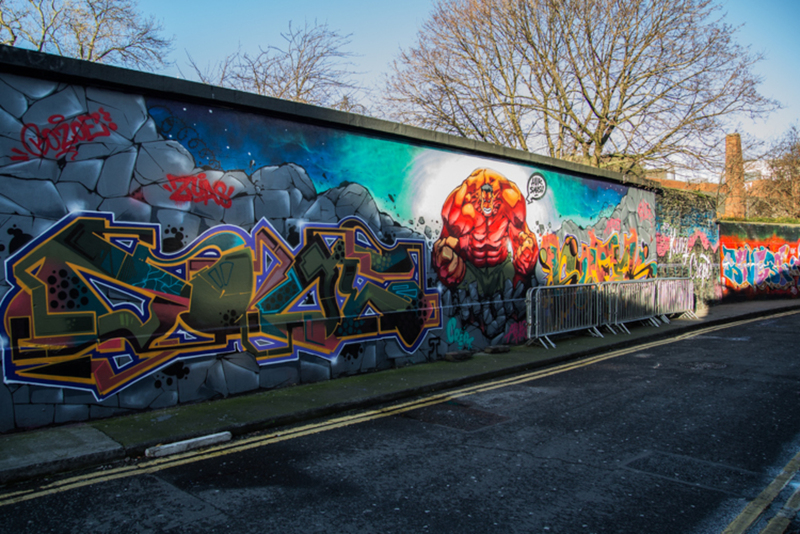 It wouldn’t just benefit artists, but other threads of Dublin’s culture too. Cullen believes this would also lead to more successful artists remaining in Dublin to continue their careers. “Quite a few have emigrated,” he says. Lynch hails Acme Studios in London as the perfect example of creating sustainable spaces for artists. By working with commercial developers, housing associations and local government it has managed to create permanent studios with affordable rents for artists. In London, Mayor Boris Johnson has also brought in planning obligations to ensure developers deliver cultural infrastructure as part of their works. Marisa Denker and Naomi Murphy from Connect the Dots – an initiative which allows people to discuss what they’d like to see happen to the city’s empty vacant spaces – will also be submitting their findings from the past year to the development plan. From the 250 people that have attended their networking events, they have found there is demand for multifunctional spaces to fulfill the city’s cultural, social and economic needs. Though this isn’t the view of every single attendee, people want spaces that can act as community hubs, event venues, meeting spots, galleries, studios and incubator spaces simultaneously. They hope the council takes note of their findings. “I think Dublin City Council has spaces that they could put to use for this,” says Denker. A number of motions put forward by councillors for the Dublin City Development Plan called for new developments to allocate 5 percent of their space for cultural use. Green Party councillor Claire Byrne asked for this provision to come into play in the Docklands Area, North Lotts and Grand Canal Dock and Poolbeg West. Another motion put forward by a group of six councillors called for any mixed-use developments with more than 50 units to include a 5 percent provision for cultural or studio spaces. Both motions were defeated, though not by much. Councillor Rebecca Moynihan, chair of the arts strategic policy committee, was involved with the latter motion and believes it was rejected by councillors simply because they didn’t understand what it was. She believes they think it would increase the costs of a development, but she says it wouldn’t. While the council is addressing in part issues of supply for housing, office space and commercial space, she thinks they should also make provisions for cultural space. “It enhances and adds to any development,” she says. Ray Yeates is less sure a specific provision of 5 percent is a good idea. He’s worried it would stop things getting built or result in artistic spaces where they aren’t appropriate. Though he hopes the development plan will embed cultural aspirations into the city’s planning and encourage developers to build cultural amenities. Despite these motions being defeated, Moynihan says they can still become a part of Dublin’s development plan if artists’ submissions are taken on board. “I’m hopeful planners will listen to the artistic community,” she says. Well it certainly isn’t due to lack of vacant buildings – Dublin is a city swamped in vacant and abandoned buildings held by Nama, DCC or invisible country based landlords who probably haven’t been back in Dublin for 30 years. Whole streets of buildings could be designated a ‘brown site’ studio area, which would actually raise the value of the dead areas of the city massively after 10 years. No doubt they then kick the artists out and a new area needs to be found but it is a system that does work well in other cities. Dublin has a terrible track record unfortunately of working with Artists – look at what they did to the original Temple Bar, when they kicked all the artists out. There is still no real artists quarter in Dublin – it is effectively just a shopping center and nothing else. Ironically if the rise of hipsterdom hadn’t come along it would probably be even worse. But even the hipsters don’t seem to have gained enough leverage on the stilted Council – shows what a hard nut they are to crack. Keeping their developer chums happy salivating with thoughts of new areas to gentrify is probably the best we can hope for.